For some, pets become a part of the family and recalling the first time you met them can be a nostalgia-filled experience. Jane Linley-Thomas - wife, mom of three, and now a kindness coach, has now become a mommy again - well, this time to a beautiful pup named Bowie. Over the past few days, Jane has been beaming about the new addition to the Thomas family. What was surprising was that Jane has never been a dog person. "As a child, I had pets dogs and loved them, but I have never really been a ‘dog person’ - that was until I met Bowie," she said. Jane and her family are over the moon with Bowie, and she has said how motherly she has got over this little bundle of cuteness. 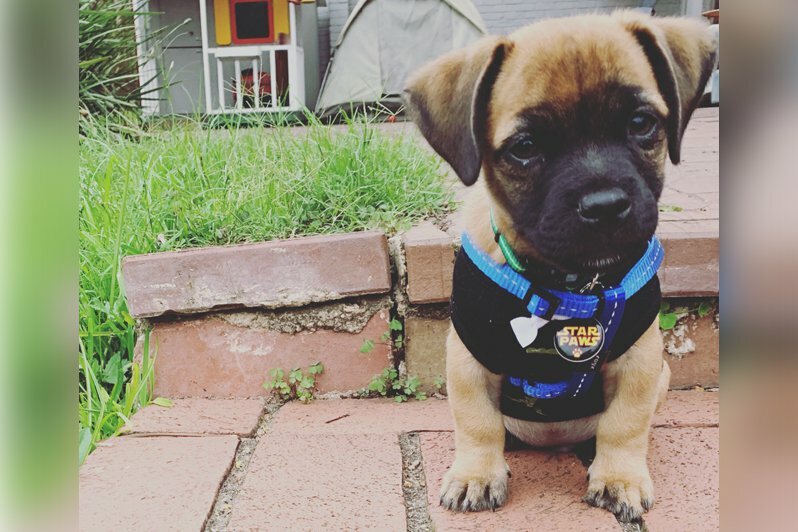 "Bowie is a three-month-old Pug - a mix of a Jack Russell and pug. From not being a ‘dog person’, I am now completely smitten. My heart grew like I never knew it could. I adore being with him and have such a maternal connection to him, and he has truly galvanised into our family. I get it now," she said. It's amazing that a little dog has left such a lasting imprint on their lives. Jane has said that the kids are having the time of their lives playing with and enjoying Bowie to his fullest. There's no doubt that there are going to be enough memories made to last a lifetime. Do you have a first pet story to share? Drop your comments below.